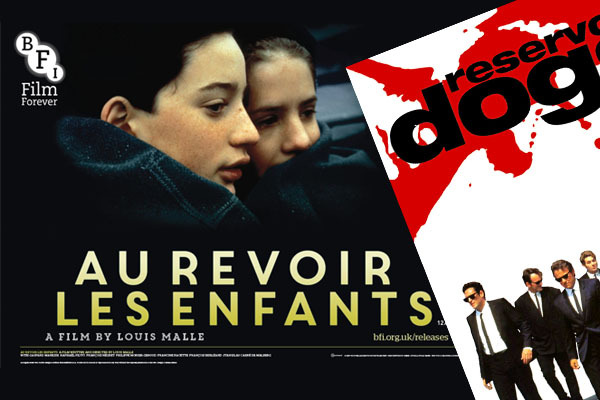 Reservoir Dog's bizarre title was inspired by the French Louis Malle film Au Revoir Les Enfants ("Goodbye Children"). A story that Tarantino has recounted on a number of occasions reveals that whilst working as a video store clerk in L.A., an interaction with a customer lead to a mispronunciation that stuck. In another reference to names, the K-Billy radio station name is borrowed from Tarantino's incomplete debut effort 'My Best Friend's Birthday'. 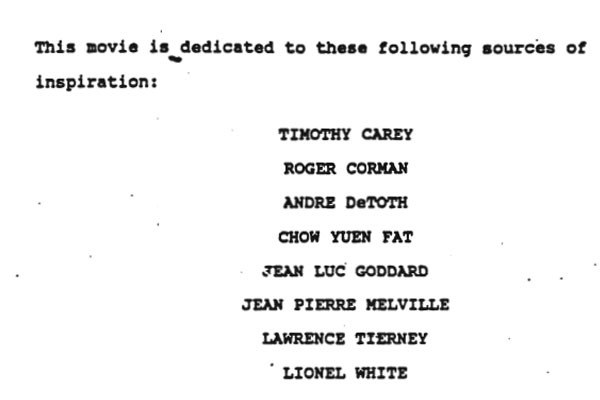 At the start of the Reservoir Dogs script, Tarantino includes a list of dedications - to Timothy Carey, Roger Corman, Andre DeToth, Chow Yun Fat, John Woo, Jean Luc Godard, Jean Pierre Melville, Lawrence Tierney, Lionel White, Monte Hellman, Jack Hill, and Pam Grier - or in other words, those cinematic talents who were directly influential on his work. 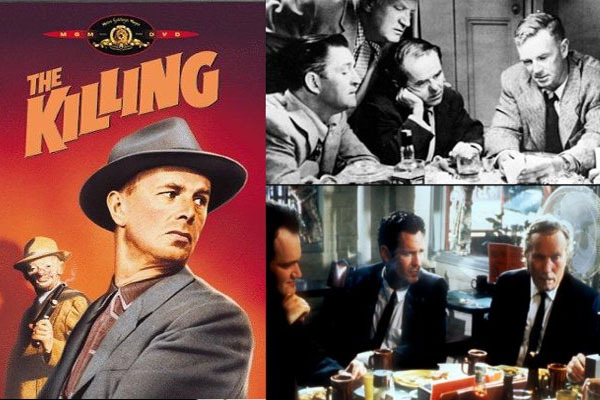 It's no secret that Stanley Kubrick's The Killing bears a huge resemblance to Reservoir Dogs and Tarantino isn't ashamed to say so: "I didn't go out of my way to rip-off The Killing, but I did think of it as my take on that kind of heist movie." Like Kubrick's film, Reservoir Dogs employs flashbacks to show how each criminal gets involved in the heist. Incidentally, the film also borrows Once Upon A Time In America's device of showing the bookends of the "well planned heist gone wrong" without showing the crime itself.